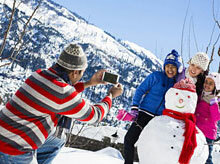 Himachal - "The Land of the Gods"
Himachal – literally meaning the “Land of Snow,” is an immaculate hill destination, where natural beauty and tranquility permeates through the living. The land is surrounded by cascading Himalayan mountain range. The hill state of India boasts about serene climate and romantic atmosphere, providing the domestic and international travelers with opportunities for adventure tourism, spiritual escape and more importantly there are ample of opportunities available for holiday lovers. The hill state is blessed by Mother Nature from all aspects. The rich bio-diversity coupled with thrills and excitement along with tourism; make Himachal Pradesh a land of several manifestations. 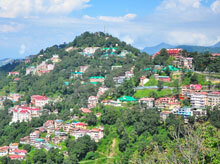 Moreover, the rugged landscape of Himachal is dotted by several high rising mountainous peaks. The peaks create an overwhelmingly majestic appearance.